We have been operating our title pawn business on Victory Drive for 12 years. 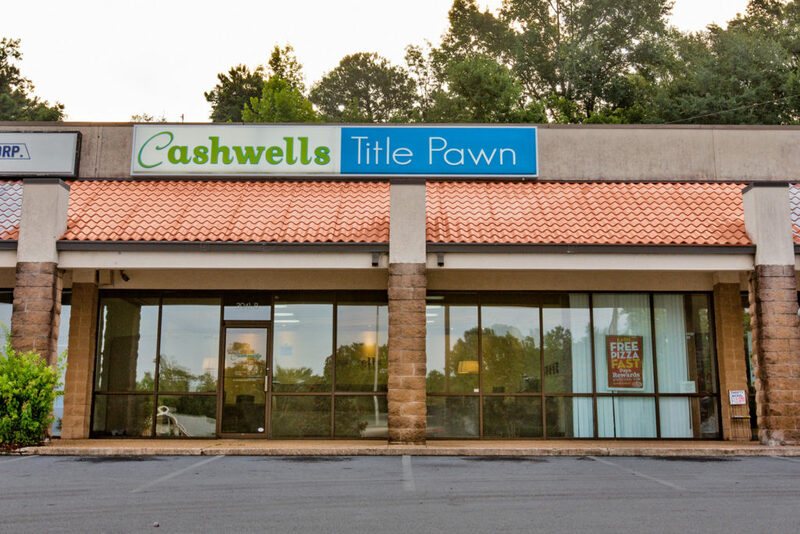 Cashwells Title Pawn is here to help! With over 13 years of experience, we exceed expectations in customer service, while offering you the short term loan you need for life’s unexpected situations. With payment plans that are structured to fit your budget, we offer you the ability to cover expenses without the worry of losing your vehicle. Our entire staff is trained to understand each client’s individual circumstances. We address every client with a solution that covers their needs and places them on a path to redeeming their title at the conclusion of the loan. Cashwells Title Pawn is a company built on reputation. We take pride in working with our customers to find a suitable pawn amount, payment plan, and easy access to making payments. We offer competitive rates and a simple application and approval process. With more than 10 years in the title pawn business, we understand how confusing this process can be. We also understand the need for quick cash and how sometimes, things just happen. We not only care about your immediate need, but also care about your long term financial goals. Terri has managed our Victory Drive location since its opening more than 12 years ago. If you are in this area and are in need of some extra cash, please give her a call so she can show you why Cashwells Title Pawn is the best. All loan proceeds are issued by check which can be cashed at any of our local banks. Located at 3941 Victory Drive, we are near the top end of Victory Drive approximately 1.3 miles from I-185, near the Holiday Inn Express. Our office is located in the same plaza as Geico and Direct Insurance, and directly beside Papa John’s Pizza. We conveniently serve Phenix City, Uptown Columbus, Chattahoochee, Marion County, Stewart County, and many other surrounding areas.